This week we learned of a genius and so very creative move made by IKEA, the world’s largest furniture retailer, in their marketing and SEO strategy. We at Due North SEO were so impressed by this “cheeky SEO play” that we decided to share it with you, our readers. Wherever you are. They created a website where their products were renamed to match common Google search phrases in Sweden in a campaign called “Retail Therapy”. Each of these phrases related to common relationship problems and the product it was associated with was meant to act as a solution. So when people searched for something like “kids every other week,” a sleeper sofa from IKEA’s retail therapy website would show up in the search results, the name being literally “KIDS EVERY OTHER WEEK.” Or when “how to say I’m not interested” is searched, a silver garlic press shows up (our personal favorite). A smart marketing plan includes realizing the consumer problem. In design school you learn that good design always starts with a problem and ends with a product/design that could fix the problem. In marketing (which includes SEO) it is very much the same. You must first think of what your target audience wants, and tailor your marketing schemes to reach out to your audience saying “hey, I can fix that problem you’re dealing with.” What IKEA did is an excellent example of this. What IKEA did was not only a consumer-problem-fixing strategy, but was also a way to reach out and relate to their audience in a light-hearted manner. They aren’t asking us to take Retail Therapy that seriously, but instead are asking us to smile. They’re telling us that our problems and our relationships do matter. By being clever and humorous they bring their brand down-to-earth so people feel more comfortable and thus more likely to buy from them. Both of these things we point out today can be incredibly important for our marketing strategies. Consumer first. Find their problem that relates to your product and/or services, and convince them that you can fix it. 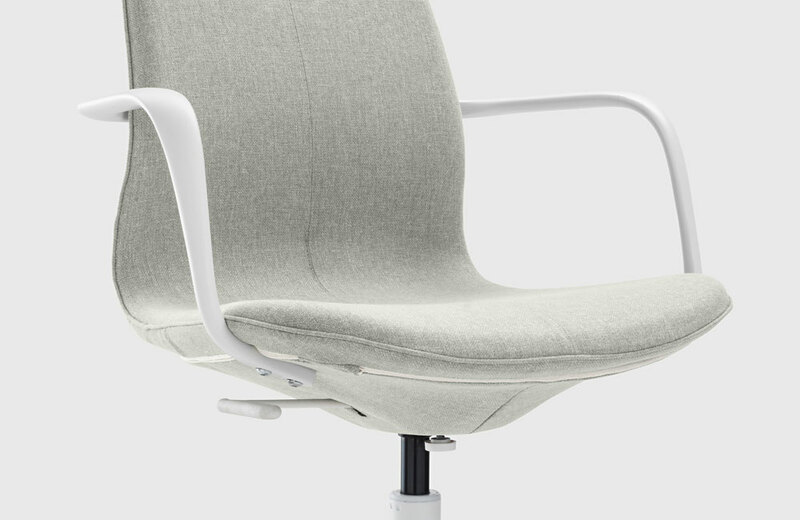 Then go out and buy your office some new LANGFJALL swivel chairs (pictured below) because, come on, IKEA is awesome.